Brothers made critically ill by poison make crucial step toward recovery. The heart of Chaim Michael Shlomo Gross, one of two young brothers made critically ill by poison in Jerusalem, resumed beating Tuesday. Doctors were able to remove him from the ECMO machine which had been replacing his heart’s activity for several days. On Monday doctors removed 5-year-old Raphael Yitzchak Isaac Gross from the ECMO. The two boys, their parents and their two sisters suffered poisoning when an exterminator left a highly dangerous pesticide in their apartment. The two young girls, 4-year-old Avigayil and 2-year-old Yael, were killed. 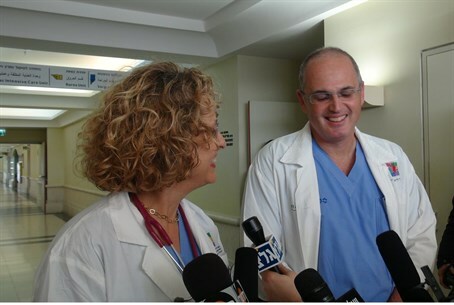 While the removal of the ECMO machine is a significant step forward, doctors cautioned that the young Gross brothers remain seriously ill.
Members of the Gross family have urged the public to pray for the young boys, whose Hebrew names for prayer are Raphael Yitzchak Isaac ben Michal and Chaim Michael Shlomo ben Michal. A Hebrew-language webpage set up to facilitate prayers for the young boys has seen the book of Psalms (Tehillim) completed over 1,200 times. Leading rabbis have called for prayer and repentance in light of the tragedy that affected the Gross family as well as other tragedies, including the death of a Jerusalem family in a gas explosion and the death of a young baby on a playground in Rishon L’Tzion. The hareidi-religious news outlet Kikar Shabat reports that Rabbi Aryeh Finkel issued a call Monday to continue fervent prayers on behalf of the Gross brothers. Prayers should remain frequent and heartfelt until the boys make a complete recovery, he urged.